Things have been so super crazy here and I was sick.. again... 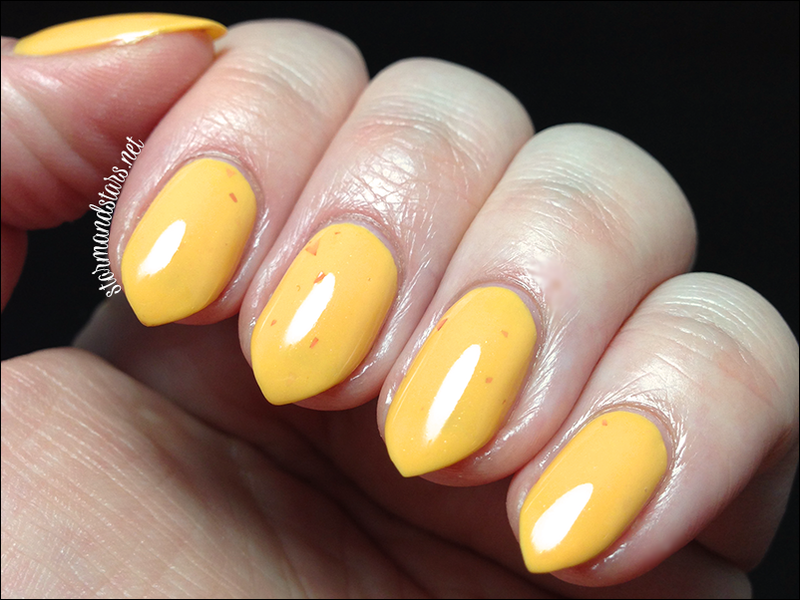 BUT while I was stuck home sick I got 23 polishes swatched, so I have LOTS to share with you! 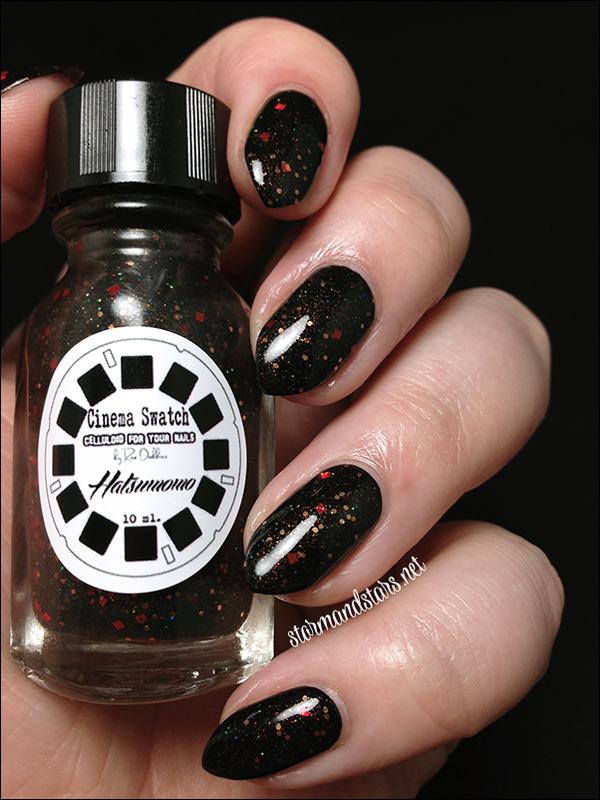 Starting off I want to share the first half of the Geisha Collection from Cinema Swatch Lacquers. I know I usually share full collections, but I had a bad nail break in the middle of swatching a couple collections, so different nail shapes. I thought visually it would work better if I split it up. 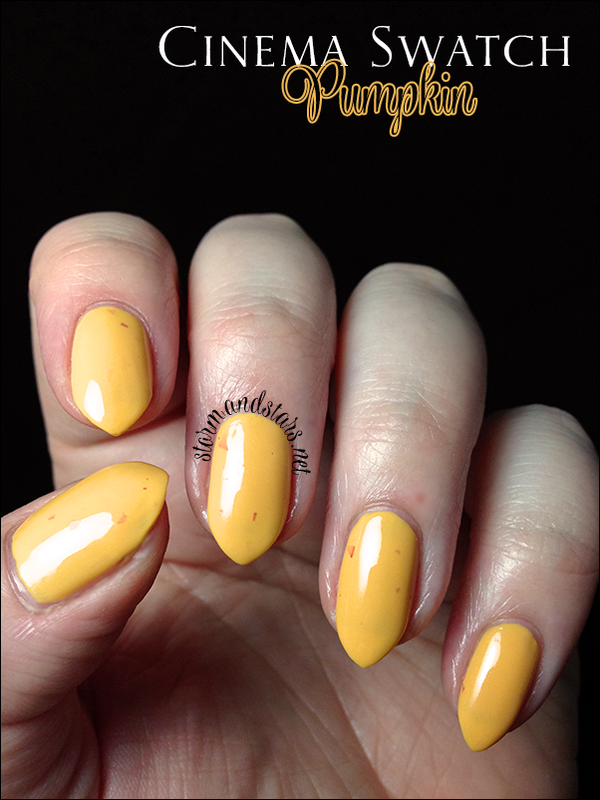 I have three lacquers from this collection for you today. All three are a jelly or crelly base with glitters added. First up is the brightest of the three, here is Mameha. 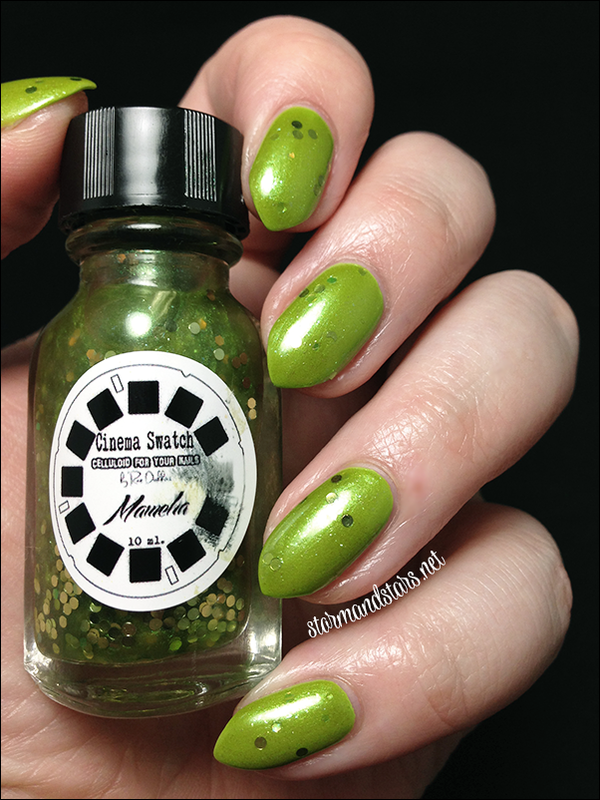 Mameha is a bright olive toned green shimmer with darker green circles and some goldish hexes. 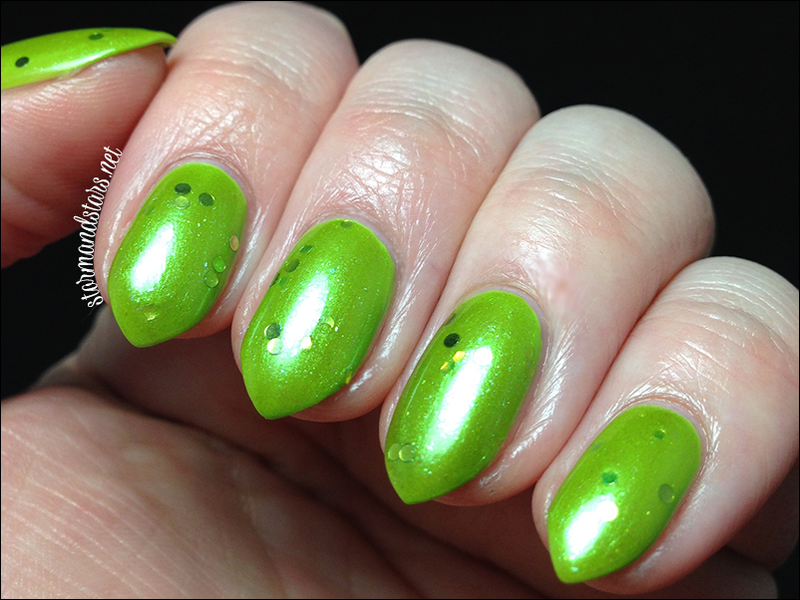 This lacquer was very sheer, so I layered two coats over L'Oreal New Money to make it more opaque and punch up the brightness a bit. I found the formula a tad thick, but not difficult to work with. I do suggest flipping the bottle over for about 10 minutes before you start working due to some glitter sinkage. 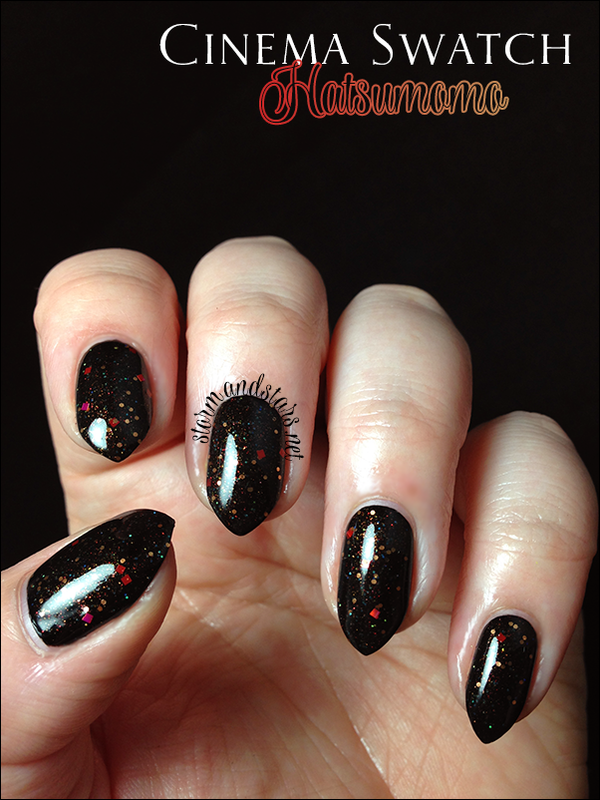 I tend to do that with more glitter lacquers thought. I really love the shimmer in this one. It looked pearly in the bottle, but on the nail its just super shimmery. Next up for this part of the collection is Pumpkin. What a great color. I love this shade. It is super unique and I loved it against my skintone. 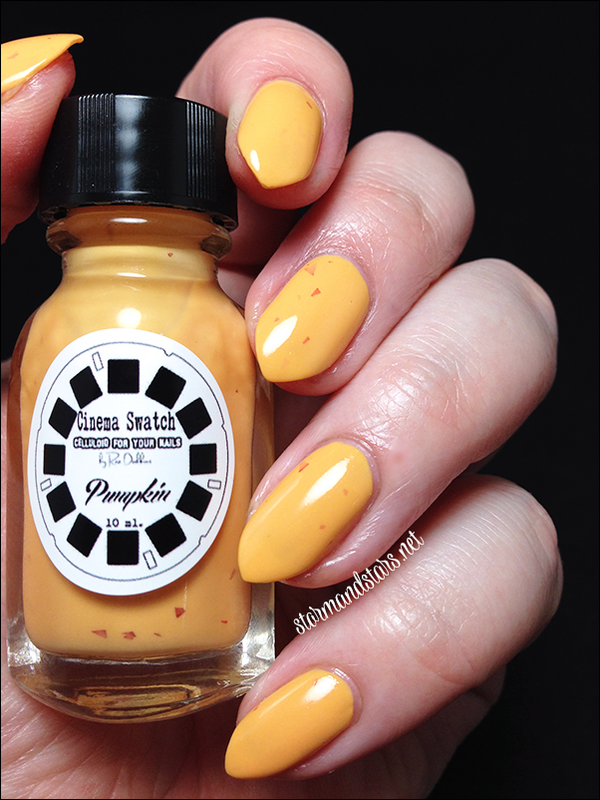 Pumpkin is an orange crelly lacquer with darker orange shredded glitter sparsely strewn throughout and a slight orange shimmer. 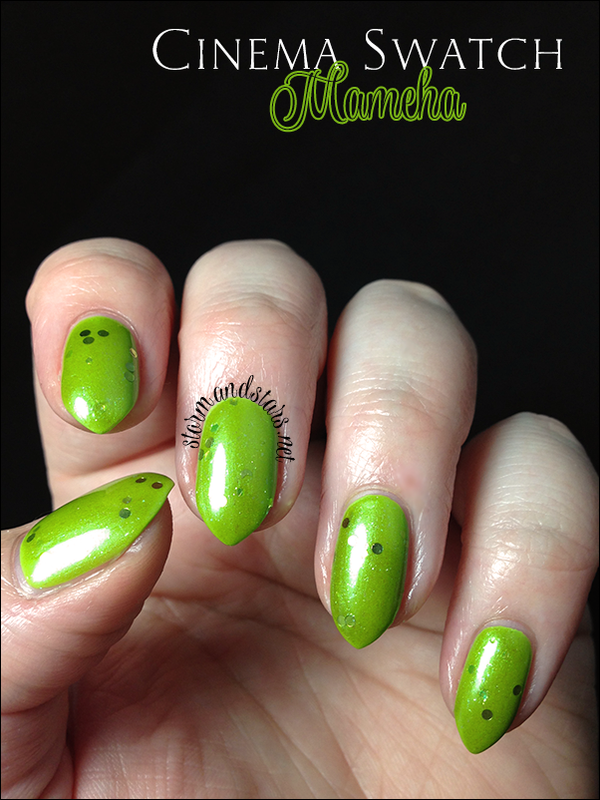 It really works well visually and will be PERFECT for some Halloween manicures come Fall. I did have some formula issues with this one. I found it rather thick and will most likely use some thinner before using it again. It was really streaky on the first coat, BUT as you can see it evened out perfectly on the second coat, which is all I used. I added a topcoat to make is super shiny. Last up from this half of the collection is my favorite, Hatsumomo! I wish I could have captured the true depth of this dark beauty! It sparkles and shines and I really love it a lot. 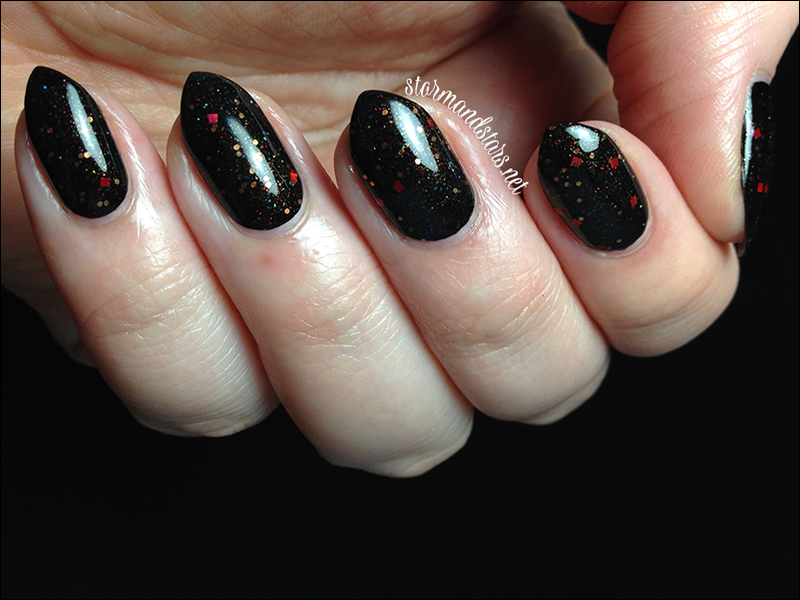 Hatsumomo is a black jelly base with copper micro and small hexes and red squares throughout. It is loaded with the glitter and sparkles like hell! 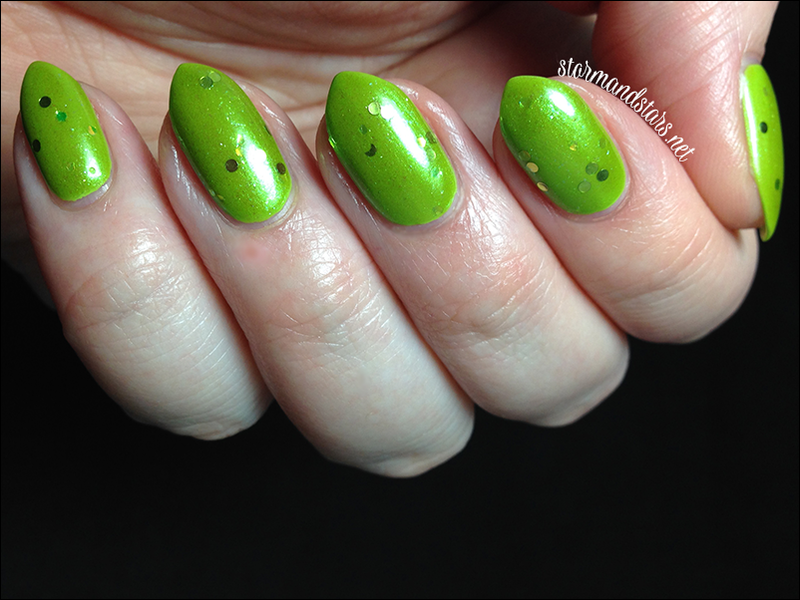 I used one coat over a base of Cult Nails Nevermore for these swatches and I added topcoat for the shine. The polish was sheer, but as a guess it would probably reach opacity in about 3 coats. 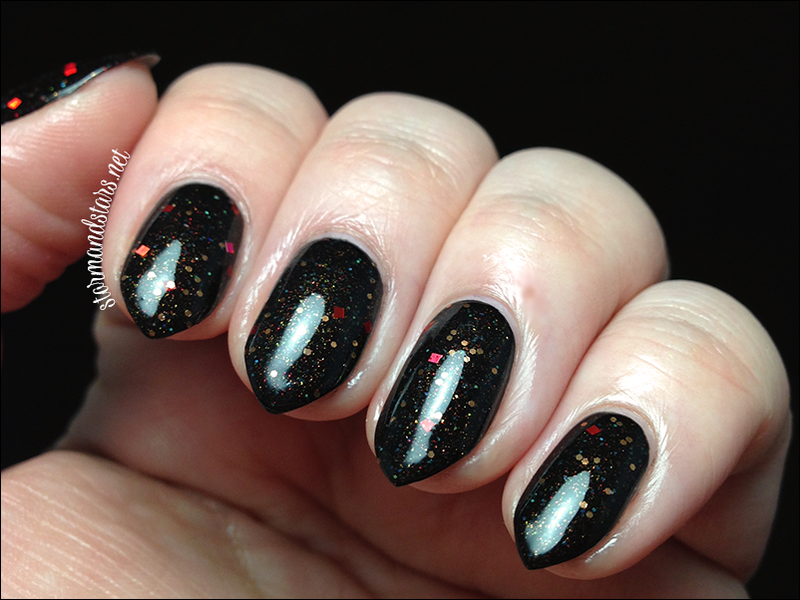 I loved it over black, but if you want a more jelly look, then definitely try it on its own! 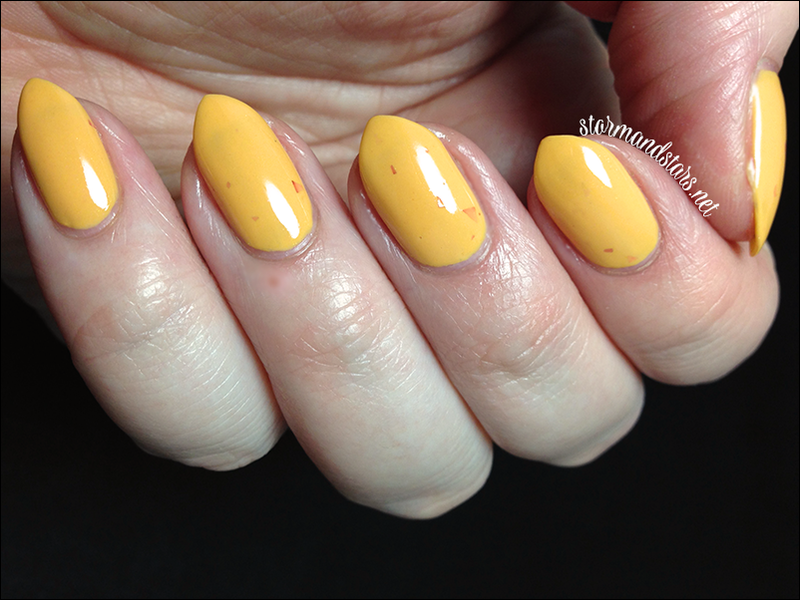 I always have so much fun with the Cinema Swatch Lacquers that Rachel sends me and I can't wait for you to see the other three from this collection on my new shorter nails. Haha! I love this black one!!! gorgeous!